The rule of thirds is pretty simple. You divide the frame into 9 equal rectangles/squares, 3 across and 3 down. Most camera & Phone manufacturers have included the capability to turn this grid on while shooting. The idea is to place the most important element(s) of the scene along one or more of the lines or where the lines intersect. This is your main focus and what you want viewers to notice first. 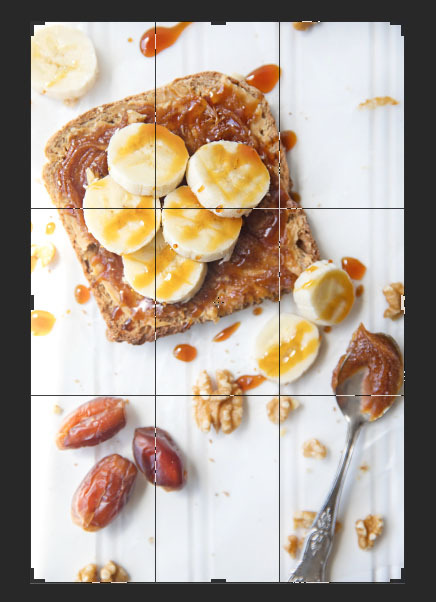 As you can see in this frame, I have placed my toast on two of the intersecting points to make sure it's the most important element in my photo and where I want my viewers to look first. The rule of odds states that images are more visually pleasing when there is an odd number of subjects. The theory proposes than an even number of elements in a scene is distracting as the viewer is not sure where to focus his/her attention. An odd number of elements is seen as more natural and easier on the eye! 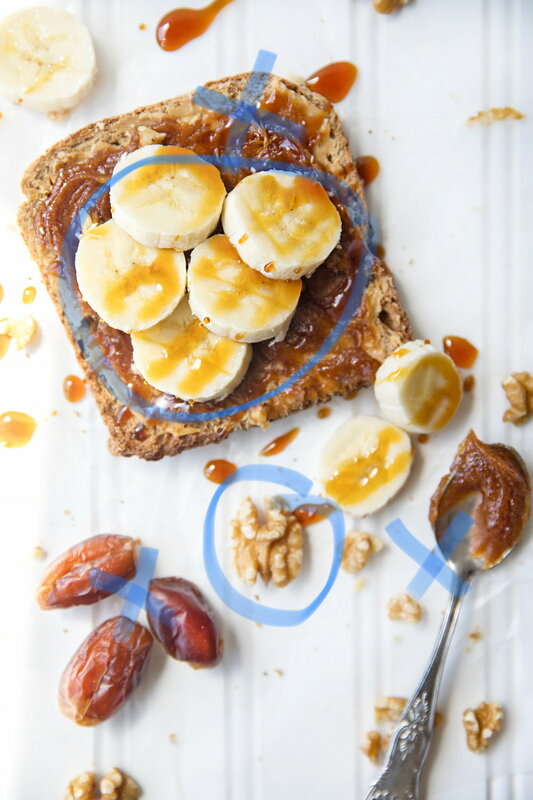 In this Photo, there are three main elements; "The Toast" + "Loose Dates" + "Spoon with spread", the toast has 5 bananas on top, the cluster of dates is made up of three dates and there is only one spoon. Even the food props like walnuts, you can only see just a whole one. I previously spoke HERE about negative space being the simplest trick ever to more pleasing images. Simply put, Negative (Empty) space, oftentimes referred to as white space, is a concept that's been used in art, design & architecture for many years. It's equally useful in photography, and can be used to turn an average photo into a great one. The white space will make your photo look less busy and cluttered. It will help draw the viewers attention right to your hero (the food) and adds balance to your photo. This can be easily achieved using simple white backgrounds for your photos, be it a white table, plate, wrapping paper or even plain foam board that you can find at the dollar store! Now it's your turn, which one of those tricks do you use in your photos and which one are you going to try next?